Is Salad Getting More Dangerous? As the now-iconic line from the (overall, very pro-veggie) Simpsons episode "Lisa the Vegetarian" warns: you don't make friends with salad. While this may or may not be true, it does seem, of late, that some store-bought salads actually might cause you to gain some friends -- just in the form of intestinal parasites who really might not be considered friends at all. 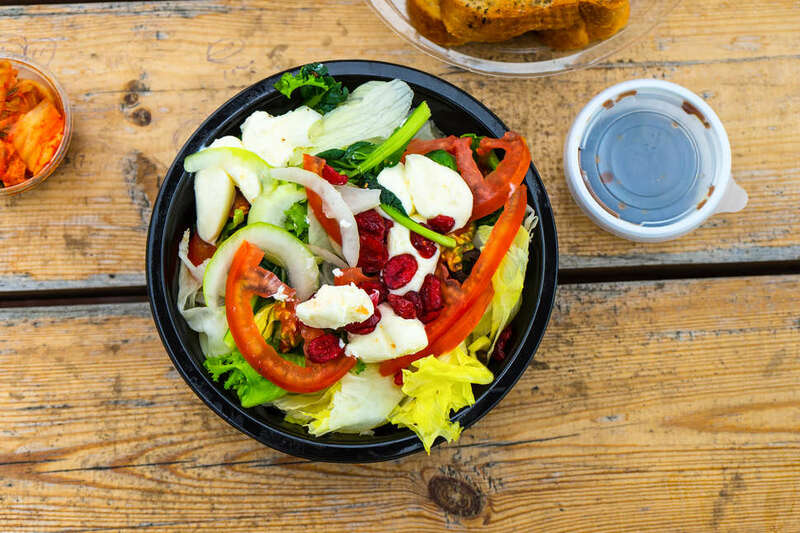 You may have noticed an uptick on some variation of "Salad From X Brand is Being Recalled For Containing X Foodborne Illness." Earlier this year, one of the biggest foodborne-illness epidemics of all time revolved around E. coli-contaminated romaine lettuce. The Golden Arches recently suffered their own bout of salad issues. 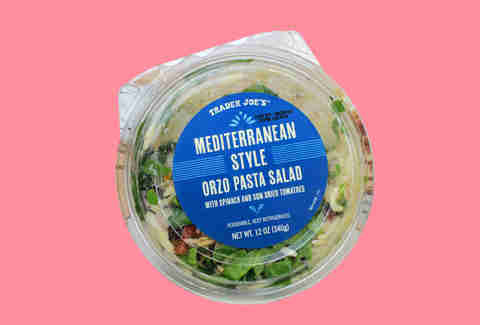 And just this week, Trader Joe's and Kroeger's needed to issue a nationwide recall on 25 salad and wrap products because of potential contamination. Why is the world of salad so seemingly volatile at the moment? Should you be worried every time you bite into a bowl of kale? And what do these parasites actually do to you in the first place? Solid questions! Let's do our best to break it down. Um, this is embarrassing, but what is a foodborne illness, exactly? I don't mean to sound like your eighth grade science teacher, but there are no stupid questions here. According to Stop Foodborne Illness, a non-profit org dedicated to stopping foodborne illness (duh): "Foodborne illness is an infection or irritation of the gastrointestinal (GI) tract caused by food or beverages that contain harmful bacteria, parasites, viruses, or chemicals. Common foodborne illness symptoms include vomiting, diarrhea, abdominal pain, fever, and chills." It usually comes on suddenly, and can lead to some serious complications, including the most serious complication of all… death. Are salads more at-risk than other foods? Well, yes and no. Traditionally, meat -- notably, burgers sold in large quantities -- was the most at-risk food group as far as national contamination is concerned. Notably, in 1993, 623 people contracted E. coli due to undercooked burgers served at Jack in the Box. In the wake of this well-publicized incident, regulations were passed that have managed to squash most widespread meat contaminations -- with the prominent, recent exception of Chipotle. In a recent Eater report, Bill Marler, a prominent U.S. food safety attorney (who is apparently is quite busy these days) confirmed that with the new, "stricter" safety regulations in place, he sees "...hardly any cases linked to hamburgers" anymore. Instead, he's seen fresh fruits and vegetables contain more E. coli and other contaminants than any other food category. So, right now, yes, salads are at a higher risk. Why are fruit and vegetables more likely to be contaminated than other foods? The the rise in popularity of pre-packed, "raw" vegetables have contributed to the problem, as raw food is inherently more susceptible to contamination than cooked food. It's an easy conclusion to draw. Basically, more people are eating raw, uncooked vegetables on a large scale than ever before. And pre-packaged produce -- especially when pre-sliced -- can be the ideal environment for bacteria to grow. Produce gets contaminated, and then gets distributed throughout the country. It's a large-scale mistake. Chalk up the rise in contaminated fruit and veggies to the simple fact that more people are actually eating raw fruits and veggies (which, bacteria aside, is probably a good thing). Raw foods are always more at risk, no matter what they are. So, what's up with this Trader Joe's parasite? Cyclospora sounds like a hot new spinning class, but it's actually a very dangerous parasite, most commonly found in tropical climates. According to the CDC, symptoms include "watery diarrhea, with frequent, sometimes explosive, bowel movements... loss of appetite, weight loss, stomach cramps/pain, bloating, increased gas, nausea, and fatigue." Yikes. These symptoms can last anywhere from a few days, up to a month -- and it's not uncommon to see symptoms fade away, only to relapse after a short period of feeling OK. This is some bad stuff, to be honest. And it's the same bug that infected McDonald's salads, too. Are there more outbreaks now than usual? Not necessarily. According to the CDC's National Outbreak Reporting System (NORS), outbreaks have stayed fairly consistent per year over the past decade. It's possible that you've just been hearing about these outbreaks at a higher clip because of the rapid-fire news cycle we currently occupy (this particular outlet not being an exception). So, you don't really have to be more concerned than you would have been, say, 10 years ago. Is there anything we can do to not get a foodborne illness? It's really not on the consumer here. It's not like you could -- or should -- be opening up your premade Trader Joe's wrap, washing the lettuce, and then placing it back in the wrap. But, for the highly vigilant among us, you can always opt to buy less pre-packaged produce -- or food items that contain them -- to help reduce your risk, especially the pre-sliced variety. But that might be a little bit of overkill. You are playing the odds, but your odds are still pretty good. Just as E. coli in hamburgers spurred regulation changes in the '90s, we can only hope that this recent string of highly publicized outbreaks will draw increased attention to these outbreaks. Because we do love our sliced produced. It's just so much easier than doing the slicing ourselves. Even at the risk of making a new, parasitic friend.